Abu Garcia Ambassadeur 6601 C4 Reel. Often copied but, never bettered the C4 series has been re engineered to cast further, retrieve more smoothly and endure more abuse than ever before. The C3 and C4 series have a new Carbon Matrix® Drag, which is smoother and 35% stronger for easier handling of big fish. Left handed model. Use it with a savage gear butch light rod for throwing heavy pike lures and is a rugged alternative to a low profile baitcaster. The build quality is superb. 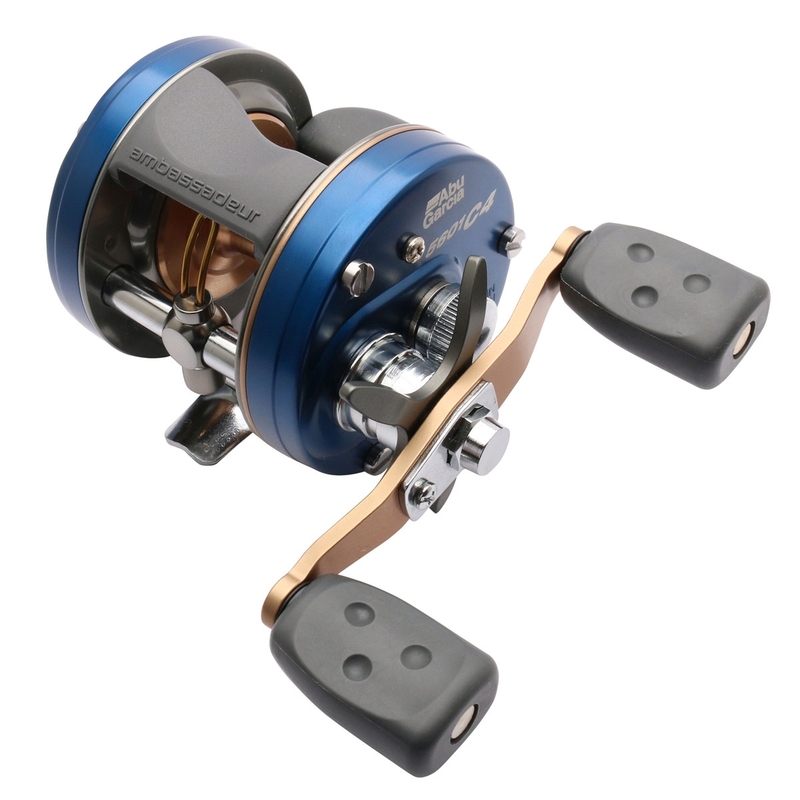 Excellent reels at a very good price !